We make our journey north with a stop on route to the Dorothy Clive Gardens. Located in the woodland quarter of Staffordshire, this lovely garden has several notable collections of plants including: rhododendrons, azaleas, camellias, sarcococca and hydrangeas. We continue our journey to our hotel with time to settle in before dinner. This morning we will visit the town of Shrewsbury for a leisurely 40 minute cruise along the picturesque River Severn loop. The cruise departs from Victoria Quay near the Welsh Bridge, gently sails to the English Bridge and returns back. Enjoy beautiful views and photo opportunities on the outward journey before listening to an entertaining commentary from our knowledgeable captains on the return. Shrewsbury, the birthplace of Charles Darwin, is arguably the finest Tudor town in England and is home to an abbey, many black & white half-timbered Tudor buildings and an imposing castle. In the afternoon we will be going to the British Ironwork Centre home to a safari park of sculptures and all things whacky! Discover the Gorilla made entirely of spoons, the Knife Angel created using knives handed in by police forces during amnesties and snoop around the Aladdins cave of treasures in the showrooms. See the steam engine, feel the heat and experience the train rumbling under your feet. 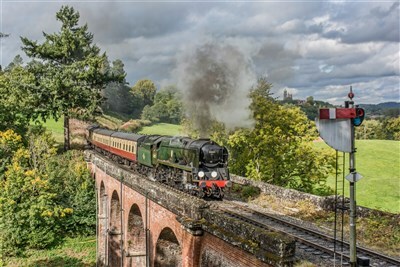 Today we will head to Bridgnorth to join the Severn Valley Railway for a classic rail journey between Bridgnorth, which is a twin town linked together by its own remarkable Cliff Railway, and Kidderminster. Prepare to venture back in time! Continue to Ludlow and have the afternoon at leisure to explore the historic market town with over 500 listed buildings and a castle at its heart. 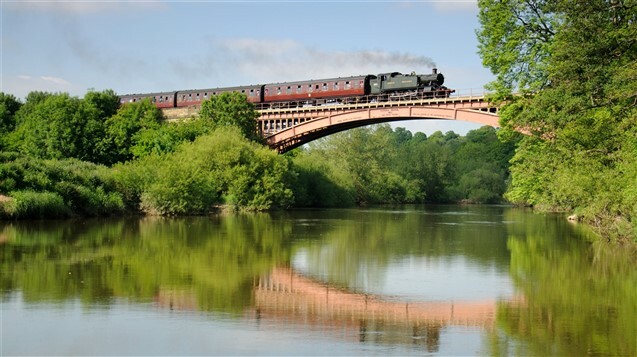 Today will theme around the Ironbridge and its many attractions. We will start with a visit to the Museum of the Gorge to learn more about the landscape of the valley and Ironbridges history. 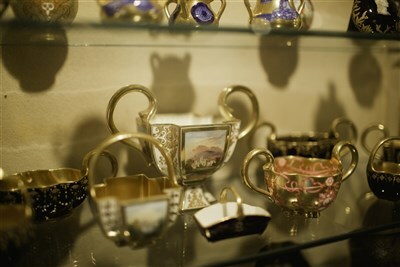 We will then visit the Coalport China Museum and discover spectacular treasures made within its quirky buildings including statuesque vases and hand painted miniatures. Lastly we will visit the Blists Hill Victorian Town Museum where you will experience what life was like when Britain ruled the world. Meet some (almost) real Victorians in their authentic shops and cottages, buy curious goods from a bygone era and watch tradespeople in action in their atmospheric workshops and factories. We make the return journey home with suitable stops along the way for refreshments, arriving home early evening.